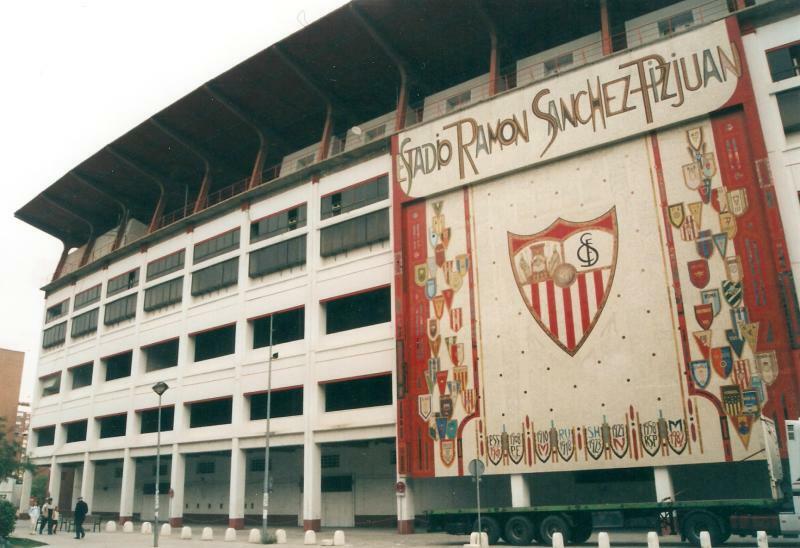 Estadio Ramón Sánchez Pizjuán got built to replace Sevilla’s old Estadio de Nervión, which had become too small for the ambitions of the club. The land for the planned new stadium was bought in 1937 by then-president of the club Ramón Sánchez Pizjuán. It took however until 1954 for further action was taken, and until 1956 for construction to begin. Just a few weeks before the start of construction, president Ramón Sánchez Pizjuán suddenly died, and his successor promised to name the stadium in his honour. Estadio Ramón Sánchez Pizjuán officially opened on 7 September 1958 with a match between Sevilla FC and Real Jaén. The stadium initially lacked a second tier at both ends, but these were added in 1974, hereby enclosing the entire stadium and increasing capacity to 70,000. Estadio Ramón Sánchez Pizjuán was one of the playing venues of the 1982 World Cup. Before the tournament it had received a refurbishment which reduced capacity to 66,000. During the World Cup it hosted two matches: one group match and the semi-final between West Germany and France (3-3). In 1986, the stadium hosted the European Cup final between FC Steaua and Barcelona, won by the Romanian side after shootouts. 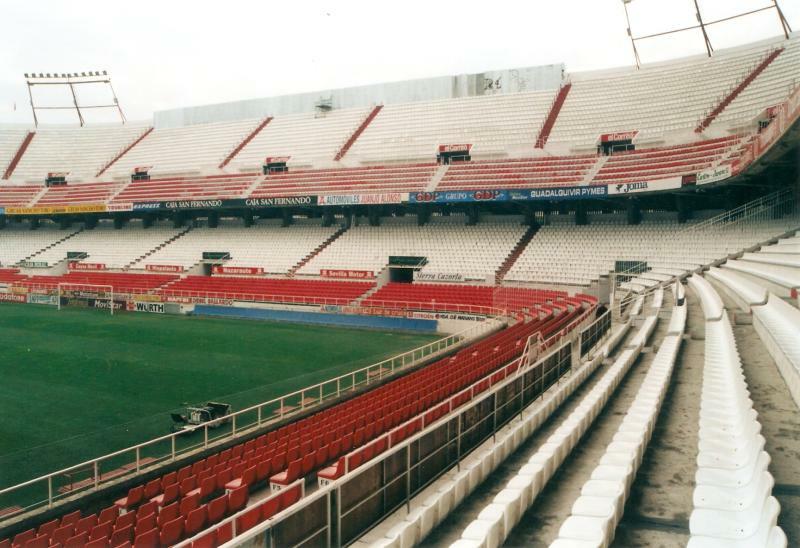 In the 1990s, the capacity of the stadium was further reduced when it got converted into an all-seater. 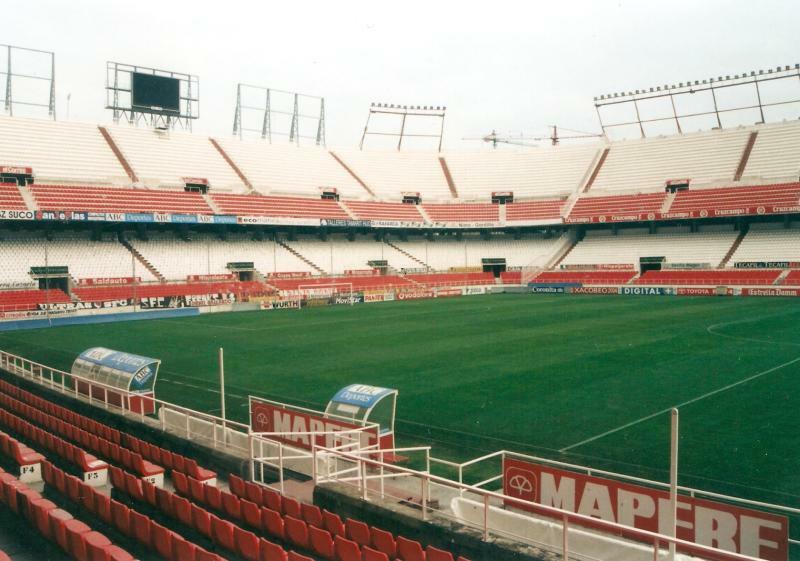 In the early 2000s, Sevilla had plans to expand and modernise the stadium, which included adding an extra tier and new roof, but these never came off the ground and were consequently shelved. In 2015, more modest redevelopment plans were presented, including a facelift of the interior, improvements in the concourse facilities, and a new facade. Works started straightaway with the replacement of the old red & white seats with new red-only seats, and by the end of 2016 the new facade had been completed. Alternatively, one can take the metro to the stadium. Stations Nervión and Gran Plaza on Seville’s only line 1 are closest to the stadium. These can be reached from Station P. Jerez, located in the south of the historic centre. Estadio Ramón Sánchez Pizjuán lies one block off Luis de Morales avenue, which circles Seville’s centre on its east. If arriving by car from Seville’s ring road further east (A4), take one of the large avenues toward Seville’s city centre, and, at approach of the centre, turn onto Luis de Morales (named differently further north or south). Estadio Ramón Sánchez Pizjuán is located in a dense urban area close to Seville’s city centre. Shopping centre Nervión Plaza lies right next to the stadium, and boasts a cinema and various food outlets. Furthermore, there are plenty of smaller bars and restaurants on Luis de Morales and in the area toward the historic centre, though for proper nightlife one has to head into the centre itself (e.g. around Plaza Nueva). There are a few hotels located close to Estadio Ramón Sánchez Pizjuán. Hotel Melia Lebreros and Hotel Medium Virgen de los Reyes are within a few blocks of the stadium. The latter is the more basic one, and also somewhat cheaper. Hostal San Vicente II, located at the back of the stadium, is another basic option. Hotel Sevilla Center is an excellent and affordable alternative located between the stadium and the historic centre. Ayre Hotel Sevilla is great if you want to stay close to the railway station. Click here for all hotels near Estadio Ramón Sánchez Pizjuán. Of course, the distance to the historic centre is small, so you can just as well stay there. Tickets for Sevilla FC games can be bought online, or at the ticket windows at the stadium in the week before the match. Tickets can also be bought at the ticket windows of the stadium on the day of the match. Sevilla only sell out the occasional high-profile match. Ticket prices depend on the opponent, but for a typical match range from €30.00 for a seat behind the goal to €60.00 for a covered central seat at the main stand. Expect to pay a lot more when Barcelona or Madrid come to town. You can find a seating map here. For more information call +34 (0) 902 510 011. Sevilla FC offer stadium tours that include the trophy room, press room, players’ tunnel, and dressing room. Tours currently run Friday afternoons (4:30pm, 5:30pm, and 6:30pm) and Saturday mornings (10:30am, 11:30am, and 12:30pm). The tour costs €10.00. Sevillacf.es – Official website of Sevilla CF. Visitasevilla.es – Seville tourist information. Metro-sevilla.es – Website of the Seville metro. Tussam.es – Seville public transport information. Visited today with my son and my husband who is disabled. The staff were amazing at helping us and made sure we made the most of the tour. I can only say a big thank you. As at Estadio de Mestalla in Valencia – another football ground not too dissimilar – Seville has recently embarked on a programme of refurbishment; in lieu of building a new ground elsewhere they have settled on tarting the old one up. The approach is roughly the same in either case: painting the concrete black and covering much of it with aluminium meshing. Valencia has filled in the gaps between pillar and beam with rectangular sheets of perforated metal. At Seville they have enshrouded three quarters of the ground in a metal exoskeleton from which they’ve hung overlapping metal panels parallel to the camber of the supporting stanchions, rather like the armour of an armadillo. The ground floor remains as it was but has been re-rendered to effect a smoother, cleaner finish, and painted red. Both clubs have also suspended huge PVC banners at various junctures: graphics depicting their star players, crowd scenes, and the holding aloft of trophies. This is more prevalent at the Estadio de Mestalla, possibly because Valencia has won more trophies. it smelled like cocaine in the back row, and there was a mouse which bit my ankle. i was quite dissapointed as this was my first spanish la liga match, please improve and yeah one more thing there were also popcorn boxes with cockroaches in them. Stadium easily walkable from city centre. Tickets bought on the morning of the match from the stadium. I was surrounded by touts offering tickets but unless you have excellent Spanish to barter, I find it’s always best to buy from official outlets. Tickets seemed pricey at 60 euro but maybe they were more as it was against Andalucian rivals Malaga. This also prompted a huge police presence as there were around 1000 visiting fans. Great ground, friendly locals, and great atmosphere.